I think I'll get to work on that. Though I want to do it after Christmas, considering all the figures I'll be getting then. I got that pack a while ago knowing about that stormie. I like it a lot, actually. Oh. I got that one a while back, too. Even though I have three of those Bens and 2 of those Lukes, I only have 1 Han. I got those separately for 7.5 each. My main concern right now is getting another VOTC Han for my Cantina. Yeah. After X-mas I'll have 3 Episode 4 Hans: VOTC, Headset, and Celebration. I may put the VOTC with the Cantina (along with my extra ROTS Chewie), the Headset some other place, and the celebration with my Episode 4 guys. Yeah, I think I'll do that. you got any of the vc rebel fleet troopers? Right now all of my options are open, for I've taken down all of my figures and am going to re-do them after Christmas. And on the RFT's, I have 1 TVC one and the 2 from the Tantive pack. 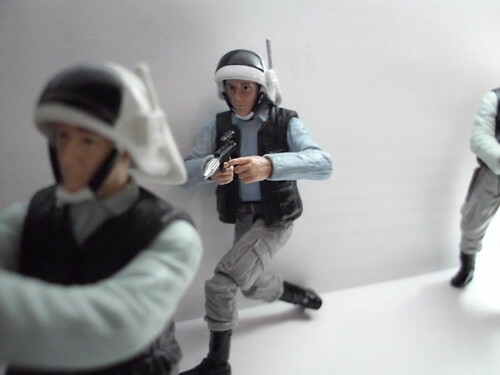 cool pic,are the ones from the tantive pack the same as the vintage collection trooper? 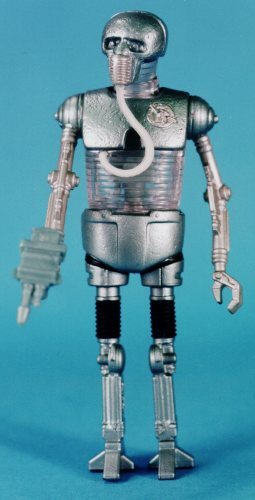 No, their a re-tool of the POTJ RFT with a new head and removable helmet. Hell no. I wouldn't buy that thing, it's awful . It looks almost not human to be honest. But we got some nice figures out of that line. Yeah, I have one right now I'll use for my ever-growing Echo base, and I'll be getting another to use as the 2-1B tortured by Jabba.